This PDF 1.4 document has been generated by PScript5.dll Version 5.2.2 / GPL Ghostscript 8.15, and has been sent on pdf-archive.com on 22/06/2013 at 11:38, from IP address 41.133.x.x. The current document download page has been viewed 686 times. File size: 100 KB (2 pages). 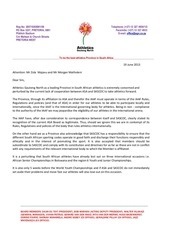 perturbed by the current lack of cooperation between ASA and SASCOC to take athletics forward. 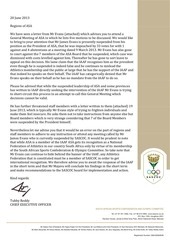 to the authority of the IAAF we may jeopardise the eligibility of our athletes in the international arena. 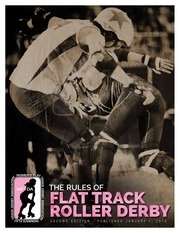 Rules, Regulations and policies of the body that rules athletics internationally. with any requirements of the relevant international body to which the Member is affiliated. It is a perturbing that South African athletes have already lost out on three international occasions i.e. African Senior Championships in Botswana and the region 6 Youth and Junior Championships. set aside their problems and move fast our athletes will also lose out on this occasion. participate in the international arena. This file has been shared by a user of PDF Archive. Document ID: 00110136.